Effective March 15, 2012 new construction and alterations undertaken by entities covered by the ADA will be required to comply with the 2010 ADA Standards. Many conferences, workshops and webinars have been devoted to training design professionals, business owners, state and local government officials and advocates about these changes. 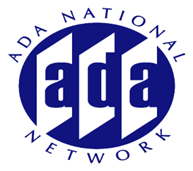 Yet, the ADA National Network continues to field inquiries from individuals who either do not understand how the new standards will impact them or are unaware of the changes. With less than 2 months before the compliance date this session is designed to give an overview of the major differences between the 1991 ADA Standards and the 2010 ADA Standards. Join this session to refresh your understanding of the new standards and how they apply to you.